While press councils face tough challenges across Europe, and media reporting has almost vanished from the mass media in many countries in a time of media crisis, new forms of media accountability have emerged in the Internet: readers and viewers twitter about the media’s mistakes, online ombudsmen follow up on e-mail complaints, and journalists blog about their profession. Can such innovative instruments of media criticism effectively supplement conventional institutions of media self-regulation like press councils, ombudsmen, and media journalism? 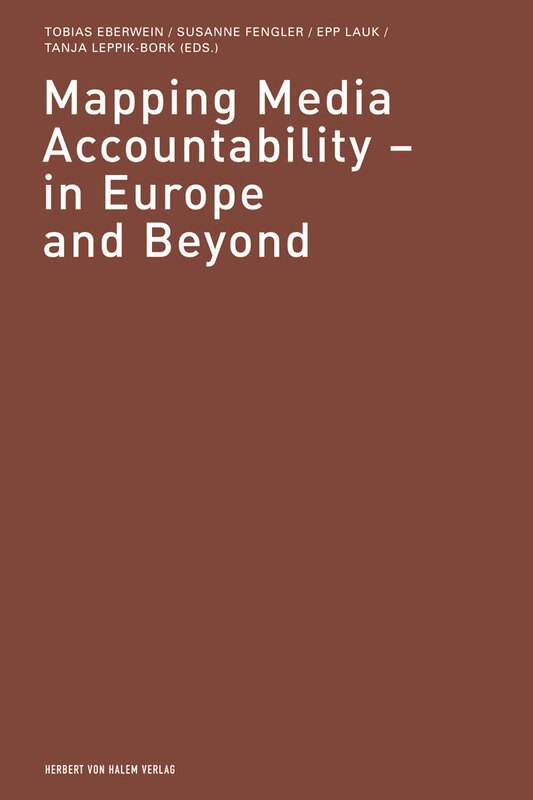 This volume provides pioneer work in analyzing the development of established and emerging media accountability instruments in Eastern and Western Europe as well as two Arab states – among them France, Great Britain, Germany, Romania, Poland, Jordan, and Tunisia. Media scholars and students, professionals and policy-makers alike will be introduced to the specific problems and perspectives of media accountability in different media systems and journalistic cultures. The status quo of media criticism online across Europe will be a key issue and provide insights into the innovative potential of media accountability in the digital age. Looked at from a comparative point of view, the reports hint at the formation of different cultures of media accountability within Europe and its adjacent countries. These media accountability cultures partly overlap with the journalism cultures identified in the well-known model by Hallin & Mancini who differentiate between North Atlantic or Liberal, Mediterranean or Polarised Pluralist, and Northern European or Democratic Corporatist media systems. At the same time, the development of media accountability and transparency shows distinctive features incongruent with established models of journalism cultures. Consequently, the book also offers new stimuli for innovations in journalism theory. 272 S., 5 Abb., 4 Tab., engl. Von der Medienpolitik zur Media Governance?